In this co-operative exploration game each player will take on the role of a secret agent and travel back in time together, hoping to undo a wrong and change the future outcome for the better. 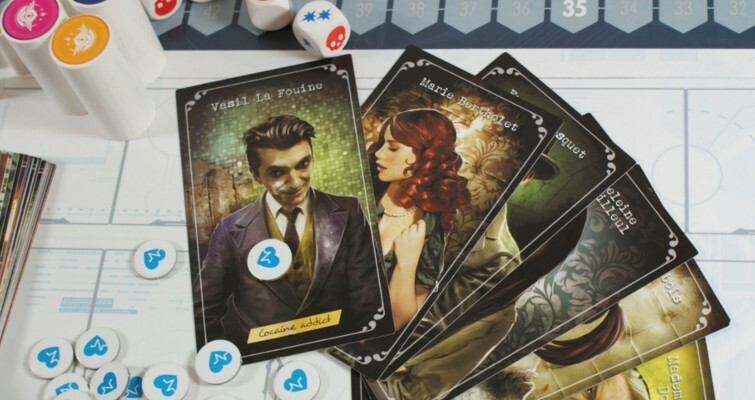 The game is unlike most board games as it offers an experience like that of a classic RPG. It can also be compared to a traditional adventure game. Players explore locations, talk to people, pick up items, solve puzzles, battle enemies and uncover new locations as they progress. The decisions players make during the game may cause different outcomes and effect their progress and success rate. Each location is made up of 2-sided cards, which are laid out face-down, forming a panoramic image to explore. The other side of the cards indicate what can be found or done there if choosing to explore them. Cards may feature an area to inspect further, a clue, a person to talk to, an enemy to fight, or nothing useful at all. Upon entering a location, a card will be read, describing the general atmosphere and what to pay notice to. The cards artwork and text allow players to really emerge themselves into the story, and adds to their curiosity of what may lie behind the next deck of cards. Players must place their agent token on a card to activate it, and are often presented with multiple choices. Taking actions on cards cost so-called time units. 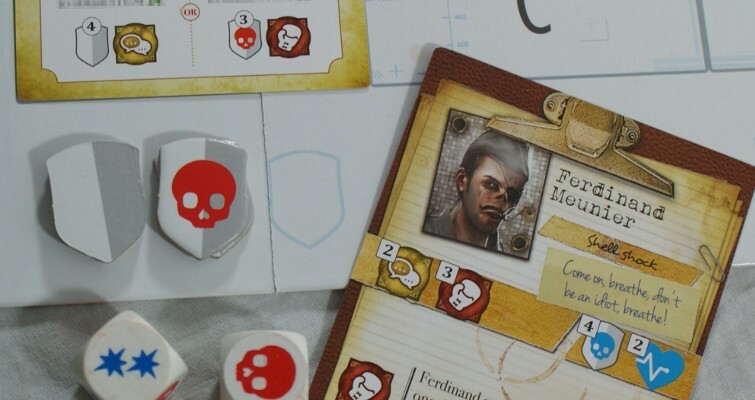 A mission has a set number of time units which can be spent, and if players run out of these their mission fails, and they will have to start over, so players must carefully decide how to best make use of the time units they are given. The game allows unlimited retries, and although players can be killed off they are able to return to the game at a later stage, thus preventing player elimination. Often players will run out of time units during their first attempt, and will have to restart the scenario from the beginning. Some players will find it more fun to spend their time experiencing as many cards as possible rather than rushing through the scenario, even if it means failing the first attempt. For others it might be a goal to complete the scenario as fast as possible, skipping any steps they think might be unnecessary. Some areas or objects require players to perform specific actions before being able to access or obtain them. For example, a door in a location might be locked and requires a specific action on a card or an item in a different location, before it can be opened. Much like in a role-playing game, players are encouraged to play out their characters during gameplay, which all have different qualities and personalities. Some characters react differently to different events as well, and some areas may only be entered/activated by a specific character. 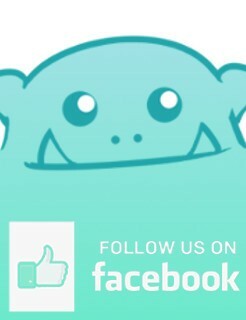 Challenges in the game are resolved by rolling dice with different symbols, which will determine success or failure. The character’s personal stats affect the amount of dice they may roll for different challenges. Players can team up in the same location to strengthen their chances to succeed, as they then each get to roll for the same challenge. An example of a challenge could be a fight or an agility test. The game works best with 3-4 players, but can also be played with just 2 players. In this case each player would need to control 2 characters each, or 1 each and share control of a third character, as a minimum of 3 characters are needed to play the game. 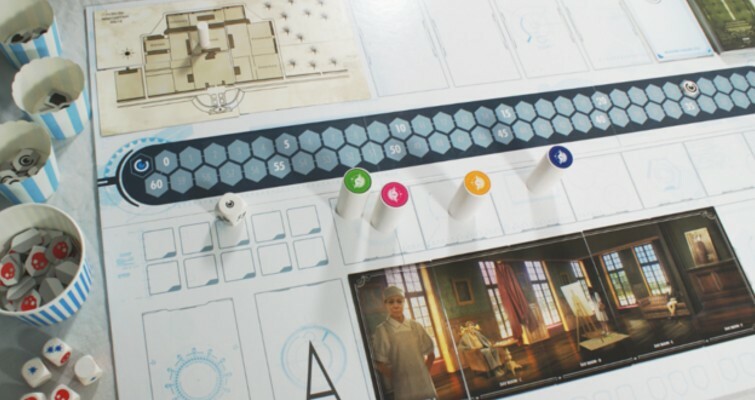 Something to take into consideration with T.I.M.E Stories is that the mission the game comes with is intended to be completed once only. Although it can technically be played again there won’t be much new to do or discover. 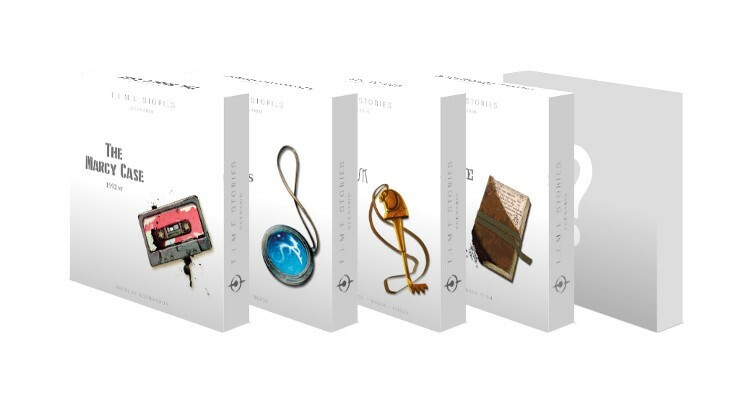 There are however multiple new scenarios/expansions available to buy, and even some unofficial fan-made ones. For the ambitious and creative there is of course also the option of making your very own story. 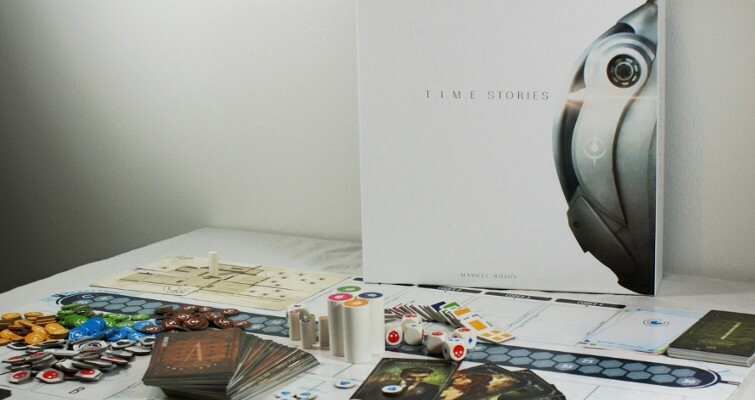 The very essence of T.I.M.E Stories is for players to experience an inter-active story full of mystery and fun together. They will experience failure and successes, discuss actions and puzzles, share objects, and help each other out. The game plays on your curiosity and imagination, and is a good option for people who enjoy games with teamwork. It’s a suitable gateway game for those, who are new to board games, but could also be a gateway into the world of RPG games.